The Best Whole Foods blogs from thousands of top Whole Foods blogs in our index using search and social metrics. Data will be refreshed once a week. Also check out Whole Food Youtube Channels. 2.12 Simple Bites | Whole food for the family table. 2.43 Cook Food. Mostly Plants. Whole Foods newsletter is a comprehensive summary of the day's most important blog posts and news articles from the best Whole Foods websites on the web, and delivered to your email inbox each morning. To subscribe, simply provide us with your email address. Facebook fans 43,034. Twitter followers 89. Facebook fans 179,969. Twitter followers 7,872. Facebook fans 182,666. Twitter followers 21,680. Pittsburgh About Blog A blog where you’ll find simple, wholesome, healthy recipes and that require 30 minutes or less. This blog is a food-only blog. Facebook fans 6,089. Twitter followers 1,869. About Blog A whole foods vegetarian recipe food blog. Jessica in the Kitchen is a whole foods vegetarian recipe food blog sharing over 100 nutritious & delicious recipes. Facebook fans 61,983. Twitter followers 2,083. Kansas City, MO About Blog Cookie and Kate blog is all about celebrating good food—real, sustainable food that delights the senses and nourishes the body. Cookie Kate is a food blog dedicated to bringing real, whole foods back to the table. Facebook fans 61,122. Twitter followers 14,101. Facebook fans 49,992. Twitter followers 14,426. CT About Blog Where delicious and healthy come together. Jeanette Healthy LIving emphasis on foods that are gluten-free or appropriate for people with food allergies. Facebook fans 27,715. Twitter followers 4,161. Michigan About Blog This blog is full of great articles, tips, and advice on meal planning, budgeting, figuring out what to buy to create your real food kitchen as well as fantastic whole food recipes with gluten free and dairy free options available.Whole.New.Mom. is a pro when it comes to whole foods on a budget. Facebook fans 90,496. Twitter followers 10,856. Oceanside, NY About Blog Skinnytaste – Whole 30 blog provides you with whole food recipes. Skinnytaste features delicious, healthy, family-friendly recipes made with real food. Facebook fans 4,160,148. Twitter followers 47,014. Facebook fans 33,444. Twitter followers 2,483. 12. Simple Bites | Whole food for the family table. Facebook fans 41,176. Twitter followers 14,941. Austin, TX About Blog Challenging politically correct nutrition. Advocating for sustainable agriculture, grass-fed and wild meats, raw & fermented dairy, and local organic veggies. It provides people the tools and confidence they need to radically change their diet, to rebel against the dominant food culture, to become a food renegade. Facebook fans 108,106. Twitter followers 14,692. Facebook fans 7,810. Twitter followers 439. Austin, TX About Blog This blog provides information about organic food, green practices, local growers, & fair trade, as well as delicious recipes & food guides. Whole Foods Market believes the full story of those products is important as we make our choices. Facebook fans 4,212,257. Twitter followers 4,862,579. Facebook fans 158,536. Twitter followers 11,079. St. Louis, MO About Blog Healthy recipes that are easy, affordable, and family friendly. Amanda is a Registered Dietitian Nutritionist cooks tasty, healthy, wholesome dishes or at least healthier versions of old classics. Facebook fans 174,051. Twitter followers 3,153. Niagara, Ontario, Canada About Blog An award-winning vegan food blog with beautiful photography and healthy, seasonal recipes. Run by Laura Wright. The First Mess is all about cooking with natural, whole, plant-based foods, eating seasonally, and sharing wholesome meals. Facebook fans 24,842. Twitter followers 7,500. Facebook fans 13,197. Twitter followers 4,004. Facebook fans 24,224. Twitter followers 1,835. About Blog Deliciously Organic is a health and cooking website featuring Organic, Grain-Free, Gluten-Free and Paleo Recipes, Health, essential oils and detox tips, and weekly meal plans. Facebook fans 167,305. Twitter followers 5,507. Facebook fans 48,033. Twitter followers 11,937. NSW, Australia About Blog Wholefood Simply is all about making quick, easy and delicious real food recipes.Wholefood Simply is a space where quick and easy recipes are shared and also traditional treats and sweets to suit whole food ways are recreated. Facebook fans 216,950. Twitter followers 109. Santa Monica About Blog TheFitBlog is dedicated to inspiring people with diabetes and giving them the tools to live an active and healthy lifestyle. Facebook fans 10,422. Twitter followers 1,641. Shaker Heights, Ohio About Blog Healthy Girl's Kitchen provides whole food, plant-based diet. Also get stories, recipes, tips and tricks to inspire your whole food, plant based journey. Facebook fans 27,956. Twitter followers 978. About Blog Olive You Whole is a Paleo blog and Whole30 blog dedicated to bring you clean recipes and natural lifestyle tips. Facebook fans 3,195. Twitter followers 97. Boulder, CO About Blog Prepare easy, delicious and nutritious plant-based recipes that reverse disease, prolong longevity, and help you lose weight. Good health never tasted so good! Helping you transition to a whole foods, plant-based with recipes and tips for optimum health. Facebook fans n/a. Twitter followers 1,241. About Blog Simple and delicious whole food plant-based recipes with no oil or refined sugar. Practical tips on transitioning to plant-based lifestyle. Share healthy living! No Oil. No Sugar. Simple. and Clean. Facebook fans 6,297. Twitter followers 546. Brisbane, Australia About Blog A blog about healthy, whole food, chemical free living and inspiration for the soul. Natural New Age Mum is all about information I learn on our journey, as a family, as we live a happy, healthy, holistic life. Facebook fans 39,283. Twitter followers 1,264. New South Wales, Australia About Blog Simplify your cooking with recipes from the Affordable Wholefoods blog. A recipe library to suit all diets from gluten free, vegetarian, vegan or meat lovers. Affordable Wholefoods are not just about wholefoods, they're a whole way of life. Facebook fans 5,250. Twitter followers 203. London, UK About Blog Wholesome Seasonal Plant Based Recipes.Nirvana Cakery is on a mission to create wholesome and delicious recipes that are not only good for you, but make you feel great! Facebook fans 1,541. Twitter followers 1,010. Philadelphia, PA About Blog When it comes to whole foods cooking, no one knows their stuff better than Christina. As a whole foods chef, she believes in understanding the relationship between organic, natural food and our health. For the best in whole foods recipes, check your local listings and tune in to watch Christina every week! Facebook fans 23,062. Twitter followers 5,274. Lostine, Oregon About Blog Forage, a blog for people who want to source real food--organic, local and wholesome--and cook it right. Lynne Curry is a cooking instructor who specializes in whole foods, seasonal cooking and baking. Facebook fans 461. Twitter followers 893. Facebook fans 11,400. Twitter followers n/a. Facebook fans 7,013. Twitter followers 6,921. Sydney, New South Wales About Blog Stef, a certified Holistic Health Coach educates on a wholesome, plant-based diet and healthy recipes, fitness tips, wellness tips, holistic living. Wholesome Stef is a holistic lifestyle journal, showing that a wholesome life full of delicious foods, crazy workouts and self-loving practices can be fun, easy & rewarding. Facebook fans 447. Twitter followers 120. About Blog My Wholefood Romance blog is a means of inspiring others to fall in love with home cooking and the benefits of wholefood. It is a place to share knowledge, recipes and to celebrate the fabulousness of food. Meg Thompson, author of this blog is a Naturopath & Nutritionist. Facebook fans 7,875. Twitter followers n/a. 43. Cook Food. Mostly Plants. About Blog Find Recipe ideas for moving your meals in an eat-food-mostly-plants direction. Cook Food. Mostly Plants, faced with a fridgeful of whole foods in the post-Pollan kitchen. Perth, Western Australia About Blog Whole Food Cooking is all about real food, that’s good enough to eat and has the ability to heal, nourish and delight. Jude Blereau is a whole and Natural Foods Chef and Author, food coach, cooking teacher and real food activist. Facebook fans 12,517. Twitter followers n/a. Brisbane About Blog Humble Wholefoods shares wholefood recipes, cooking tips and tricks to help you get the most out of your pantry. Humble Wholefoods is your one stop shop for simple and delicious wholefood based recipes. About Blog Discover dairy free ferments gluten free grain free no sugar organic paleo raw stress superfood vegan. South Africa About Blog Kirstin Kadé, a nutrition and dietetics student shares knowledge about wholesome, delicious, nourishing, REAL food. Find recipes for the same also learn about the food, the body, and how to best nourish it. Southeastern Wisconsin About Blog Read our blog to get simple, plant-based, and wholesome diet for omnivores, vegetarians, and vegans alike. Also find delicious, healthy recipe ideas as well as more information on nutrition related topics. 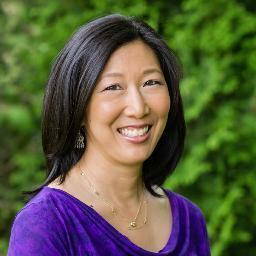 Author Alison Tierney is a Registered Dietitian. Facebook fans 497. Twitter followers 88. Nottingham, England About Blog A collection of nourishing recipes and the latest Wholefood Warrior news. Eva Humphries, DipION, mBANT, CNHC Nutritional therapist Say no to dieting. She is Nottingham's leading registered nutritional therapist and the brains behind Wholefood Warrior. Facebook fans 790. Twitter followers 1,223. Nelson, New Zealand About Blog Your journey to wholefood health. Get Wholefood coaching, recipes and inspiration. NourishFull lets you take control, regain health and wellness, discover fantastic and exciting new foods and recipes! Facebook fans 444. Twitter followers 12. Lakeland, FL. About Blog This blog promotes wellness, and helps others on their journey. Find healthy eating and living in abundance. Healthy food should be whole, fresh, beautiful, and easy to prepare. About - Welcome! My name is Malin and with my love for good, wholesome vegan food I started this blog. Here I share all my favourite recipes, my travel shenanigans and general thoughts on this and that. Stay tuned for delicious food and lots of good stuff. About - Wholesome Seasonal Plant Based Recipes. Nirvana Cakery is on a mission to create wholesome and delicious recipes that are not only good for you, but make you feel great. About - Wholefood Warrior started out of considerable frustration for the diet and processed food industries. From calorie free sweet drinks to skinny pills and magical detox powders, there are now far too many products to brainwash us. Wholefood Warrior provides talks, webinars and mini courses on various wellness related topics ranging from the basics of nutrition, to improving cognition, energy and weight loss to name a few. About - Hi, I’m Hema and welcome to my blog! I live in north London with my husband and two children and love to cook, bake and experiment with new and familiar ingredients. I decided to start blogging to share my experiences of cooking delicious meals from scratch using wholesome ingredients, with as many greens coming from my kitchen garden as possible. I hope it inspires more people to become confident in preparing their own meals as a way to a much healthier lifestyle! 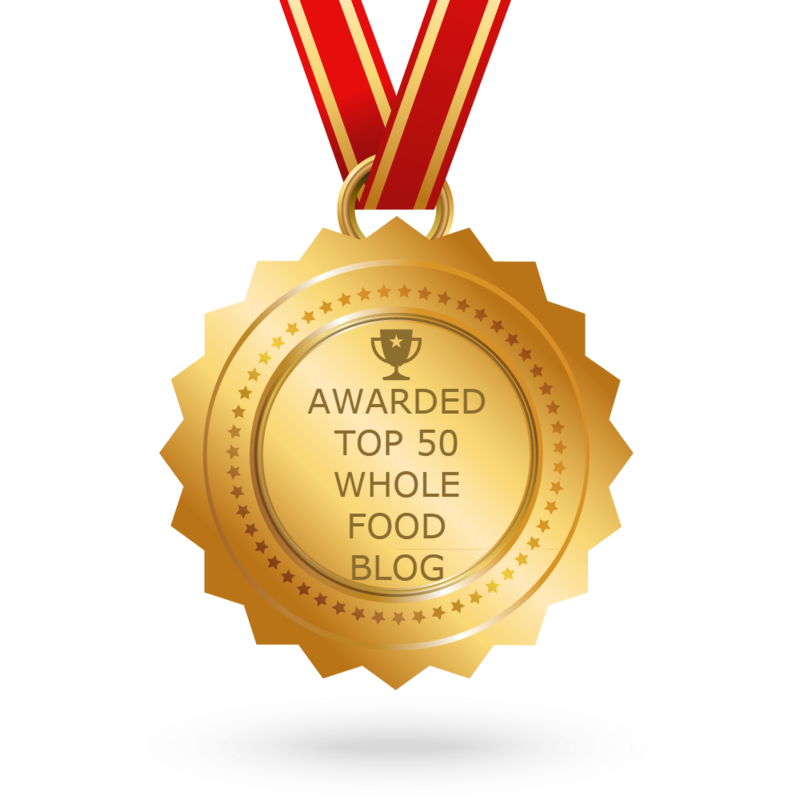 CONGRATULATIONS to every blogger that has made this Top Whole Foods Blogs list! This is the most comprehensive list of best Whole Foods blogs on the internet and I’m honoured to have you as part of this! I personally give you a high-five and want to thank you for your contribution to this world.